Just a small sampling of the awesomeness. Drag. Drop. Done. It's really that simple. While many website builders claim to be 'drag and drop' these days, we were actually one of the first to take this innovative approach. We've used our 10 years of experience to fine tune and refine the site building process. 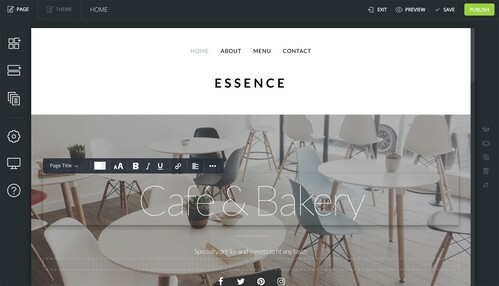 Our new website builder is so easy to use that anyone (yes, anyone!) can build a professional website in no time at all. Designed to look beautiful on any device. With SnapPages, there's no longer a need to create a separate mobile version of your site. 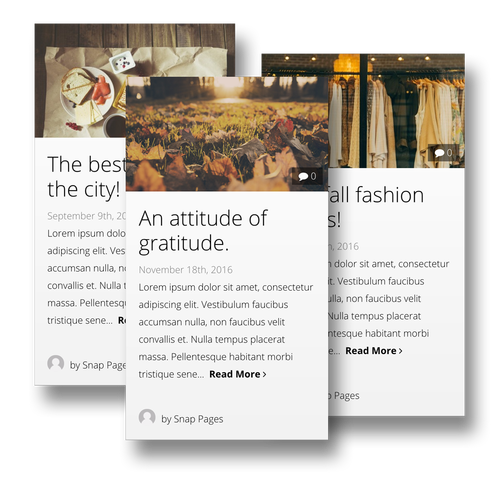 We've designed every aspect of our templates to automatically scale and adjust the layout based on the screen size. Haven't you heard? Sections are the new pages. Since mobile browsing is the new norm, where scrolling is faster than clicking, content is now consolidated into longer pages. Our innovative section templates make creating these pages easier than ever. Our built-in blogging tool makes it easier than ever to share your ideas with the world. With tons of integrated features that bloggers will love (commenting, index page layouts, advertisement injection points, and more), we make blogging a seamless process. With code snippets, the possibilities are endless. 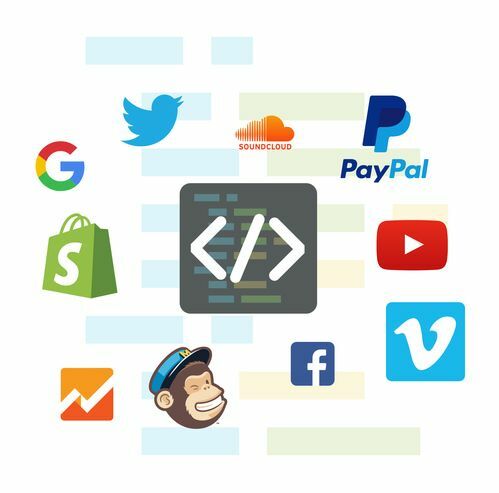 Need to integrate with other 3rd party services such as YouTube, Shopify, MailChimp, or more? We've got you covered! We make it easy to add custom code snippets throughout your site. Let your photos be the star of the show. We understand how important images are on a website. 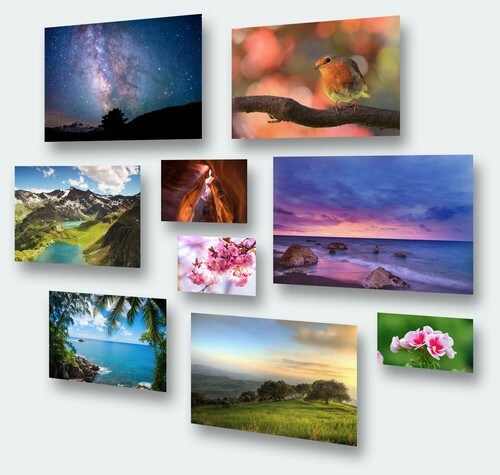 As a result, we've created customizable photo galleries to help you capture the attention of your site's visitors. Gather information and connect with your visitors. Connect with your visitors by adding custom email forms to your website. 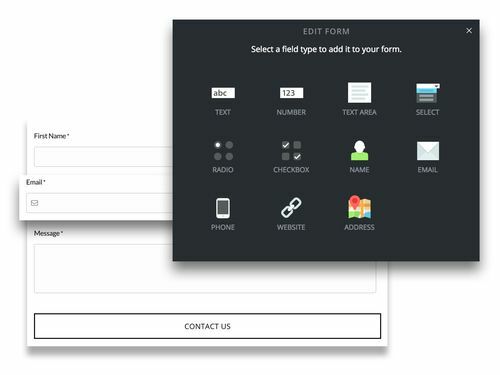 With our built in form editor, we make it easy to build fully customizable forms for your website. Access your site quickly and securely. Your SnapPages website is securely hosted and backed up in the cloud. You can rest easy knowing that no matter where your customers are, they will be able to quickly access your website at anytime . We do our best to make SnapPages as easy to use as possible, but we understand that you will still likely have some questions. Our support team is here to help answer any questions you may have!